We first met Gary at a Home & Garden show in Phoenix where we saw his LED lights under a cabinet display and thought that would look great in our kitchen. Well, I can’t tell you how happy we are. The lights just made our kitchen look great, plus we added lights on the crown molding for nighttime accent light and it creates a wonderful effect. So, all I can tell you is the company is awesome…. quality installation and great service after the sale. In fact, we just added on to our kitchen and called Gary with Mr. 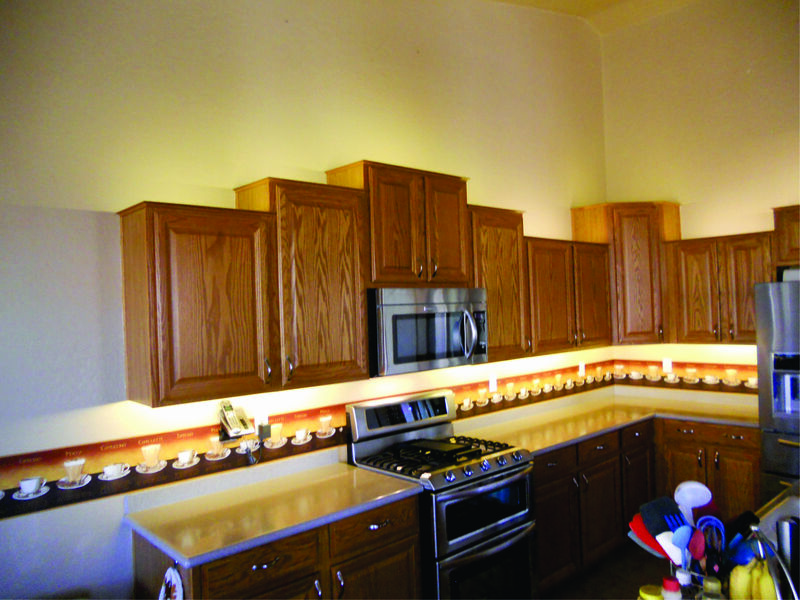 Cabinet Lights to send another section of lighting. Now our kitchen is complete. 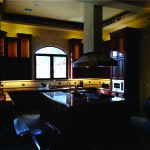 IF you want quality kitchen cabinet lighting you can trust Gary and the crew at Mr. Cabinet Lights. 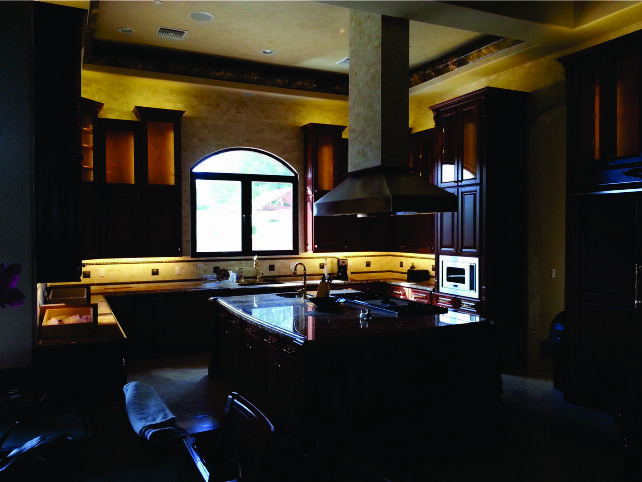 As an owner of a electrical contracting company we’re often called to install lighting under cabinets in kitchens, bathrooms, bar areas and more and find it frustrating having to use existing lighting fixtures you buy at the supply houses or big box stores like Home Depot. It’s then I discovered Mr. Cabinet Lights through another contractor. They do what electricians don’t or in my case don’t want to do. Their low-voltage LED lighting systems are the best and my customers just love the lighting. They use a LED product called Ridged-Flex LED™ a product they make which is installed under the cabinet from edge to edge giving the most light. For me, I’d rather recommend a company that can do a job better than I or my electricians can do. 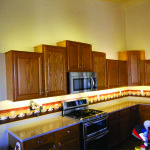 So next time you need lighting in your cabinets call Mr. Cabinets Lights & more.